. Published on 17/08/2017 . Alice Whitehead is a third generation allotmenteer that likes to grow, eat and get muddy – then write about it! With two urban allotment plots, an award-winning school garden club and an enthusiastic nine year old son to help. In this new blog series Alice shows us how to get children outdoors and into the garden this summer. Make your mark in the garden or at the allotment plot by making a family sign that can also be used to grow climbing plants! 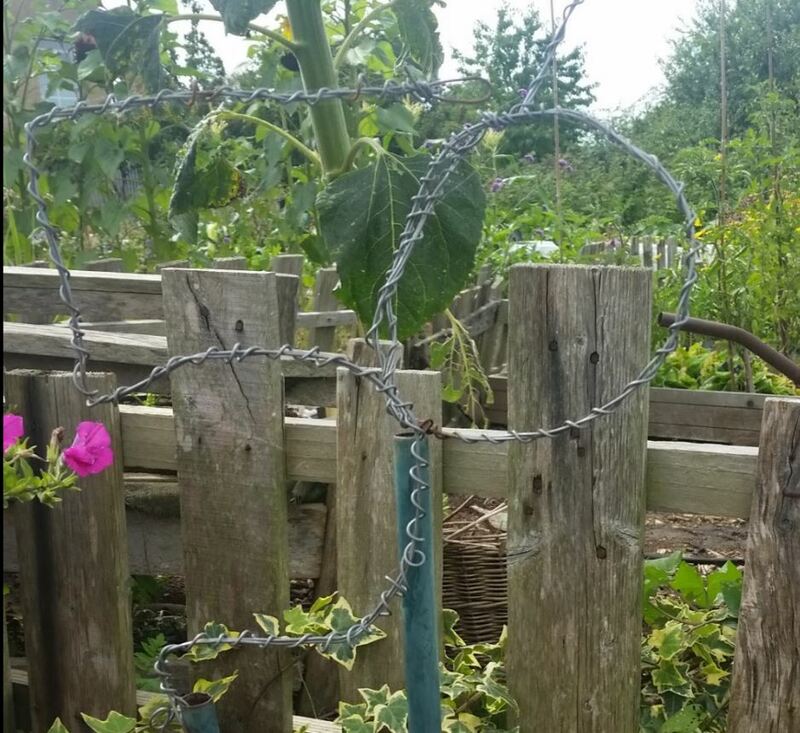 Most allotment plots require you to number your plot, so get the family together to create number signs from wire, which also provides a climbing frame for trailing plants. It’s a great project for older children. If you don’t have a plot, you can also personalise your raised beds or pots and containers too. Cut two lengths of wire to your required size. Work out what you’d like to make – hearts, circles, flowers and spirals work well but you can also form numbers or initials. Twist the wires together, overlapping one on top of the other, to strengthen. Watch out for the sharp pointy ends. Add a blob of Blu tack to the ends of the wire to avoid injuries and always supervise younger children with wire and wire cutters. Loop another length of wire around your doubled-up wire at equal spacings, to make it sturdier and give an attractive finish. Finally, twist and bend your length of wire into your desired shape – making sure you keep one small section vertical. This part will be inserted into the top of a garden cane. Once you’re ready to use, push your garden cane into the ground or into a pot, and insert the end of your wire frame into the hole. Plant clematis, ivy, or, next year, sow beans or nasturtium, at the base of your cane and tie the plants into the frame as they grow. Clip regularly to keep the shape. You could even make 3D shapes by doubling up your wire frames and attaching them together. Grow a box plant inside this and you’ll have your own topiary!